Handy and easily to use foot rasp that easily removes calluses and dry skin without making a mess. The dead skin is trapped inside a special compartment that one has to empty into the trash. 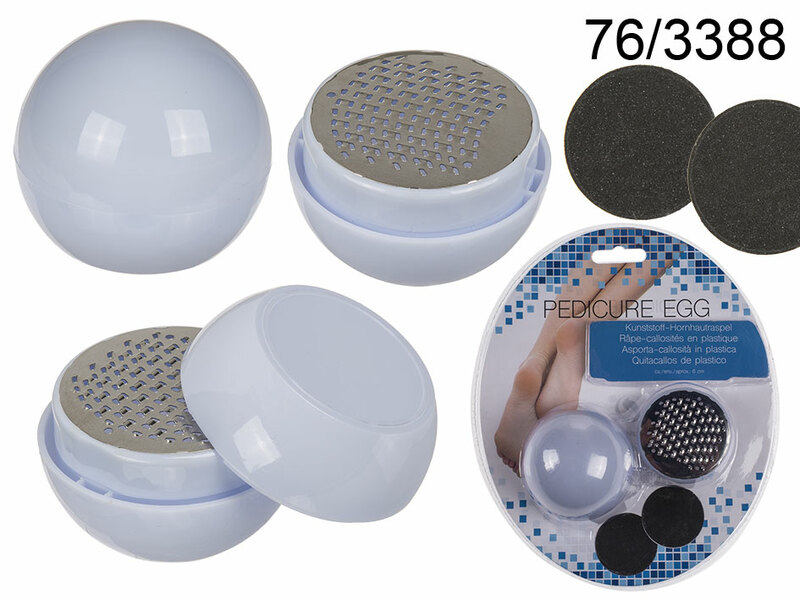 Thanks to the included 2 discs you will end your pedicure with softened and smoothened feet. Casual promotional item.